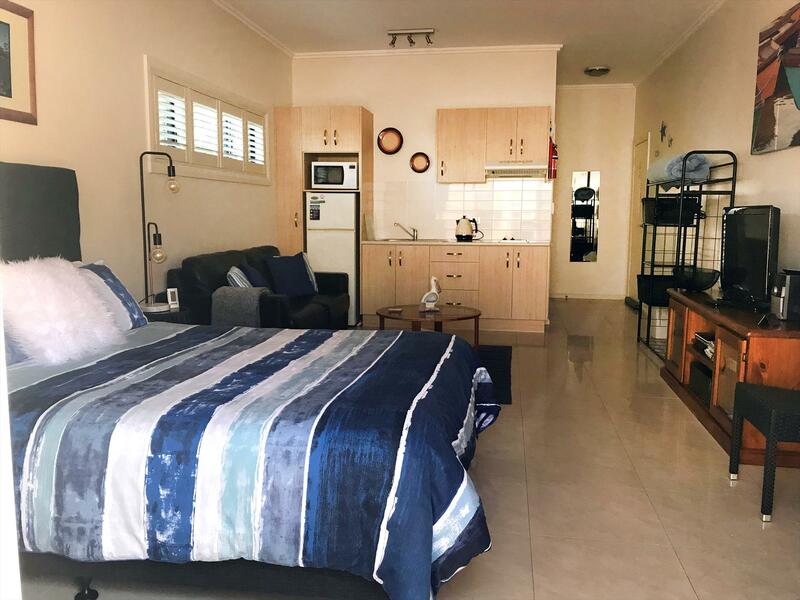 Located in quaint Shellharbour Village this self contained accommodation is ideal for a break away from it all. Just a stones throw from the beach, ocean pool and the harbour in a quiet cul de sac. A short stroll to boutique shops, cafes and the various restaurants of Shellharbour Village. The four star self contained units at Pelicans Rest offer stylish modern units in a quiet, convenient location. 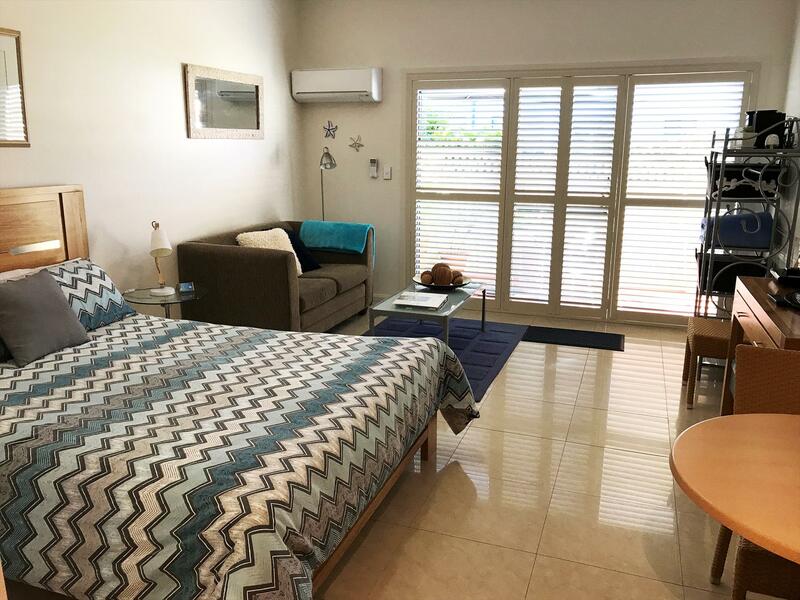 Each unit offers private entrance, ensuite with spa, full kitchen facilities, individual private decks with electric BBQ’s and reverse cycle air conditioning. There is plenty of room to relax in each unit with a lounge, LCD television and stereo. Each unit also has a DVD player with a selection of DVD’s for your entertainment. The private decks offer a warm spot for winter breakfast or are a lovely cool place for a relaxing drink on a summer afternoon. The owners occupy the top level of the house, but the units have separate private entrance at the rear of the premises. Queen bed studio room with ensuite spa, kitchen facilities and private deck with BBQ. Free Wi-fi available. Queen bed studio unit with fold out double bed sofa and ensuite spa. Kitchen facilities and private deck with electric BBQ. Free Wi-fi available. Enter Shellharbour Village from Shellharbour Road turning into Addison Street. Travel down Addison Street to the stop sign, turn right into Wentworth Street, left turn at the next roundabout and then first turn on the left into Boollwarroo Parade. We are around the bend on the right. If cancelled within 48 hours of the due date of arrival the first nights accommodation is taken. No refunds for no shows or early checkouts.